On Sale Now! 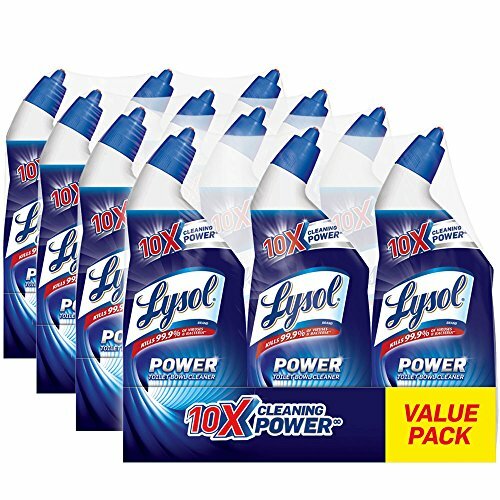 Save 3% on the Lysol Power Toilet Bowl Cleaner, 288oz (4X3x24oz), 10X Cleaning Power by Lysol at In The National Interest. MPN: 43217-11918. Hurry! Limited time offer. Offer valid only while supplies last. Lysol Toilet Bowl Cleaner cleans, disinfects and removes the toughest stains in seconds. The thick formula sticks to the bowl for better cleaning. Lysol Toilet Bowl Cleaner cleans, disinfects and removes the toughest stains in seconds. The thick formula sticks to the bowl for better cleaning. Lysol liquid toilet bowl cleaner kills 99.9% of viruses & bacteria with complete clean power. The angled bottle targets hard-to-reach areas, including under the rim, to leave your entire toilet bowl sparkling clean, deodorized and disinfected. View More In Bathroom Cleaners.